Hi friends! Following up my top 9 blog recipes and posts according to my analytics, I thought it would be fun to share my top 9 personal favorite recipes from the blog, regardless of stats/how much traffic they receive. So, here are the 9 recipes from the blog that we make again and again. I’ll use the same format as before and count down from #9 to #1! #9: Mexican Lasagna. 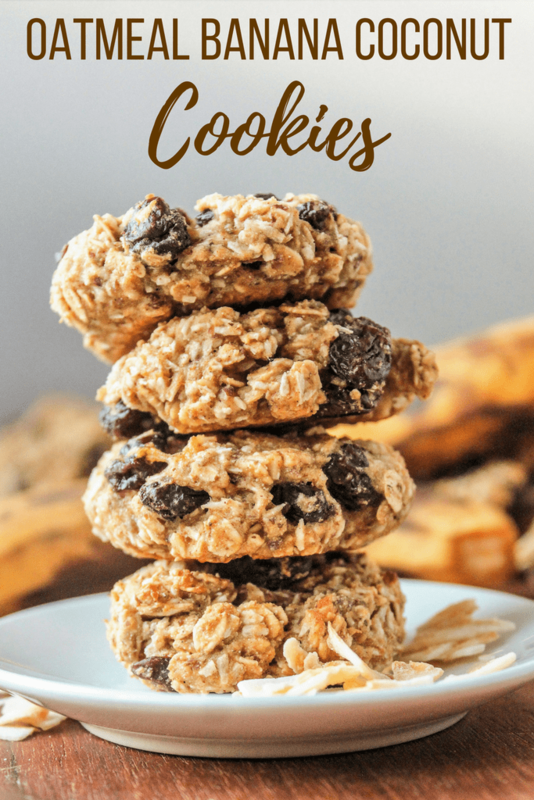 Matt and I both really love this recipe – it’s so easy to mix up based on what you have on hand, and it’s always a huge hit with guests. I’ve also made it a couple times for friends who just had babies as it makes great leftovers and reheats well! 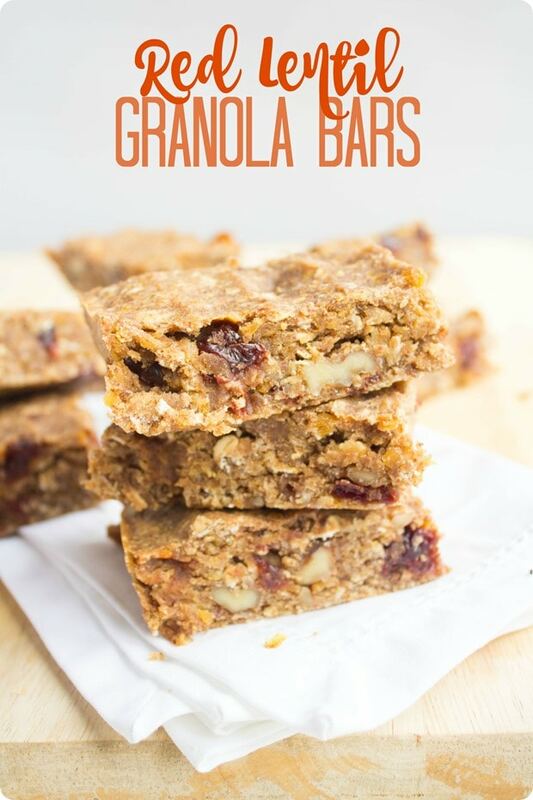 #8: Red Lentil Granola Bars. I promise you can’t taste the lentils! These are such an awesome protein-packed snack – I’ve made it a bunch since posting it. #7: 5 Minute No Bake Peanut Butter Granola Bars. This used to be my most popular/well known recipe on my blog for years until Pinterest mixed up the stats, but I still really love it. It’s fast, easy, and crazy delicious. 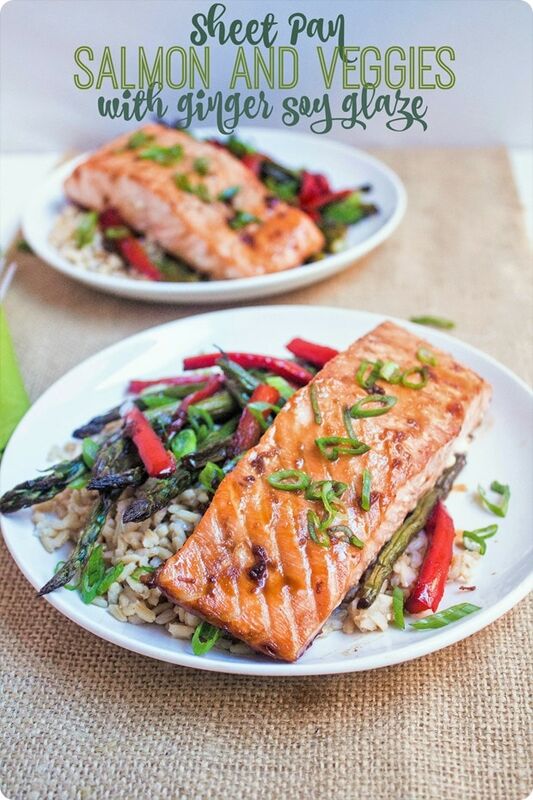 #6: Sheet Pan Asian Salmon with Veggies. We have made this recipe again and again – it’s so flavorful and quick, and I love that it’s all done on one pan. Try it if you haven’t yet! 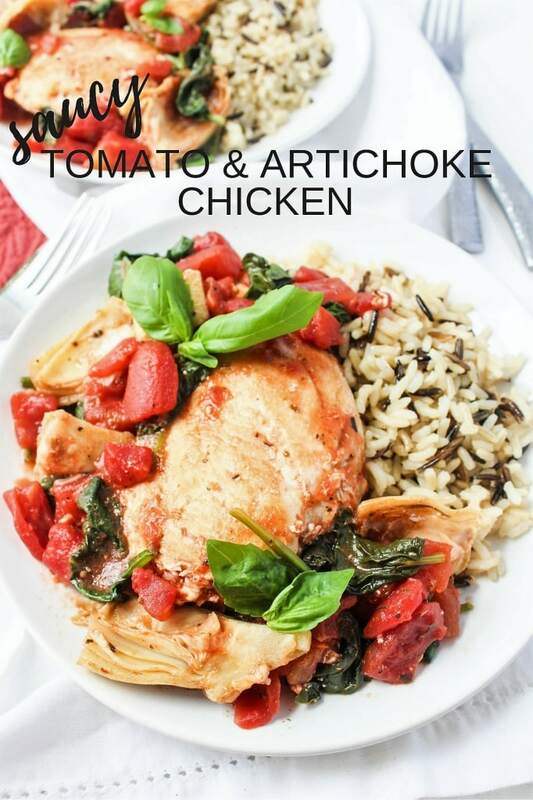 #4: Saucy Tomato Artichoke Chicken. This is one of our favorite easy throw together meals when we have no idea what to make. We serve it atop rice or pasta, or just as is. It’s crazy fast and can be made with mostly pantry or freezer staples, too! 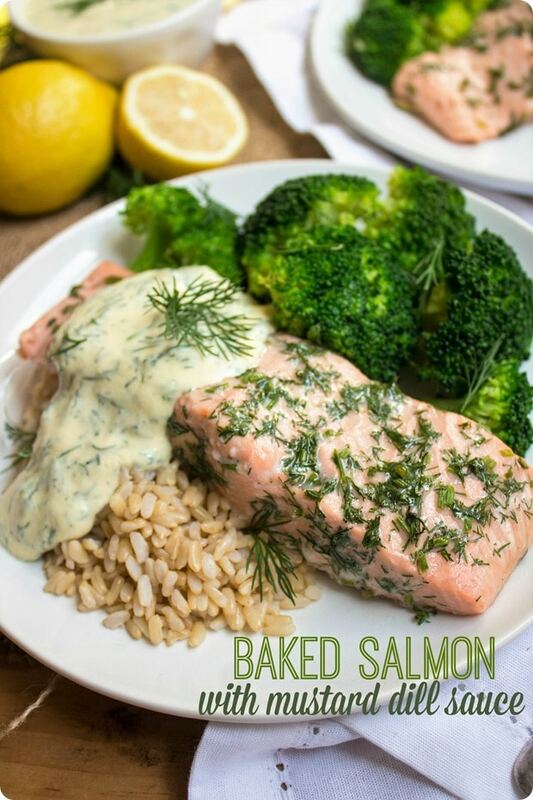 #3: Salmon with Lemon Mustard Dill Sauce. We LOVE this recipe – it’s so, so delicious. Great for impressing guests or for an easy weeknight meal, especially since you can prep it ahead of time! #2: Microwave Banana Oatmeal. This is one of my biggest breakfast go-to’s – so quick to throw together! I usually stir in some cottage cheese and nuts/seeds to add even more texture. 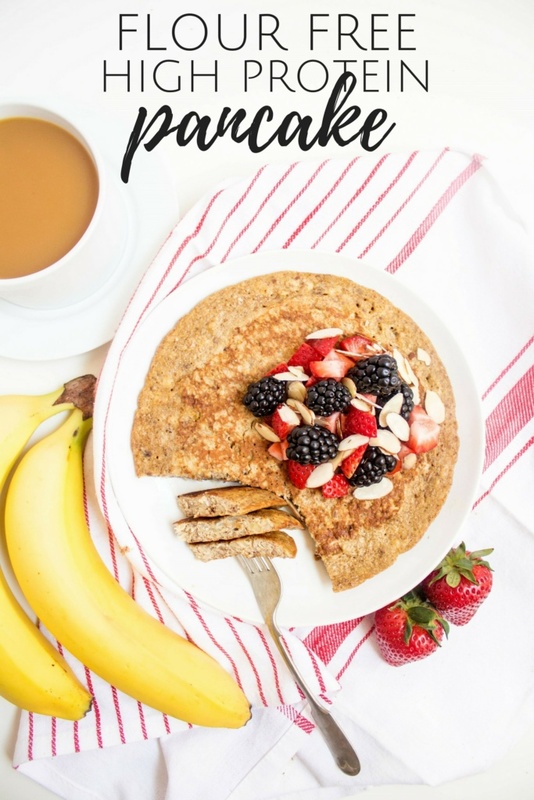 #1: Flour Free Breakfast Protein Pancake! I loooooove this recipe and make it at least a few times a week, especially because Riese loves it now, too! Are there any of my recipes that you find yourself making again and again? I’d love to hear which ones, if so! I just finished eating your breakfast protein pancake while reading this! I make it a few times a week, but in the microwave (lazy). I top it with yogurt and some fruit! I love your high protein flour free pancake, and I’m already bookmarking your saucy tomato and artichoke chicken for later this week! Let me know how you like it – so easy! The Mexican Lasagna is one of my favorites because of how it can be customized. I have done it with sauteed peppers and onions, spices, refried beans, salsa and cheese. Sometimes I’ll add in mushrooms or meat or shredded chicken. It is one of my favorites, especially since I can portion it and freeze it for dinners. Reheats beautifully, in fact I prefer it reheated. I love how easy it is to mix it up, too! Yay – glad you love it. I love your Mexican Black Bean Spinach Burgers and the Strawberry and Fennel Barley salad is my favourite recipe, that is really something different to bring along to a get together. The 5 Minute No Bake Peanut Butter Granola Bars have been made many times. Yay, so glad to hear this! I vote for number 3. In fact, we have it all the time. Perfect salmon meal! Glad you love that recipe too! Do you think the texture of the lentil granola bars would work for baby led weaning? Our son is 9 months and loves lentils! Unfortunately probably not given the walnut pieces and dried cherries (which are probably too large unless chopped)… and the maple syrup is probably something you’ll want to skip for a bit longer, too, just because it’s extra sugar. So I’d probably skip this one for now! Once your little one is a bit older I think it would be great, though, if you chop the dried cherries a bit and leave out the walnuts!